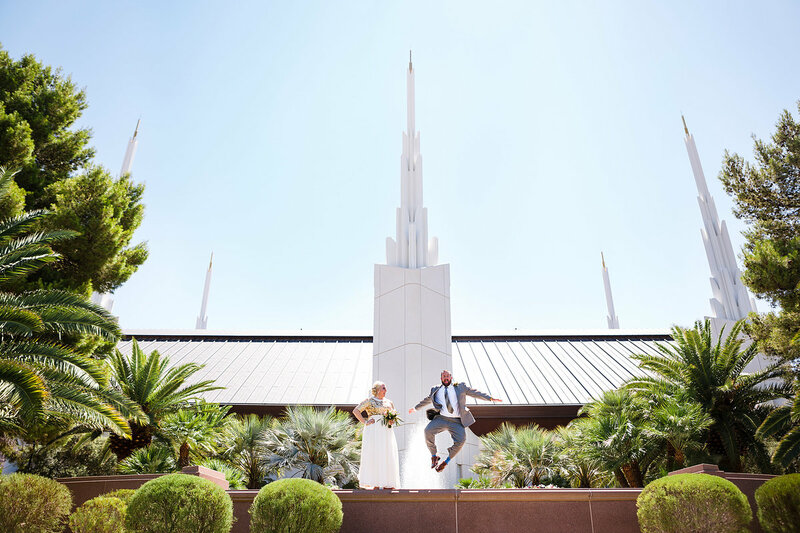 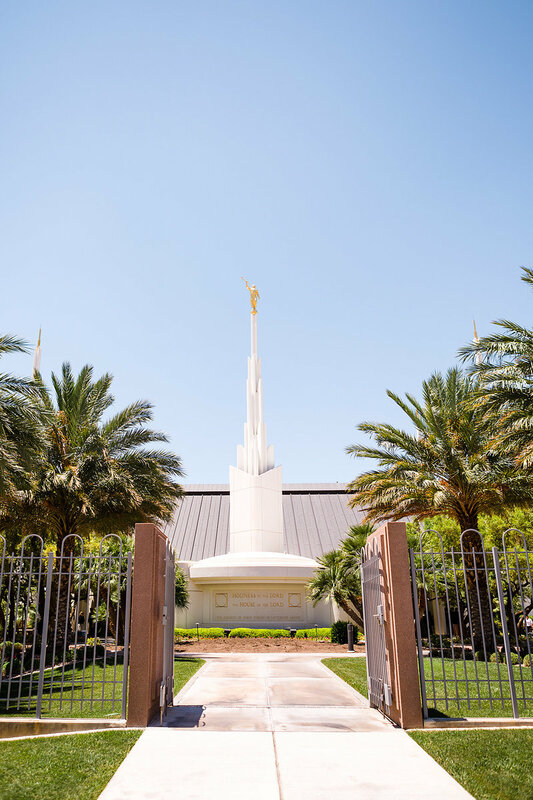 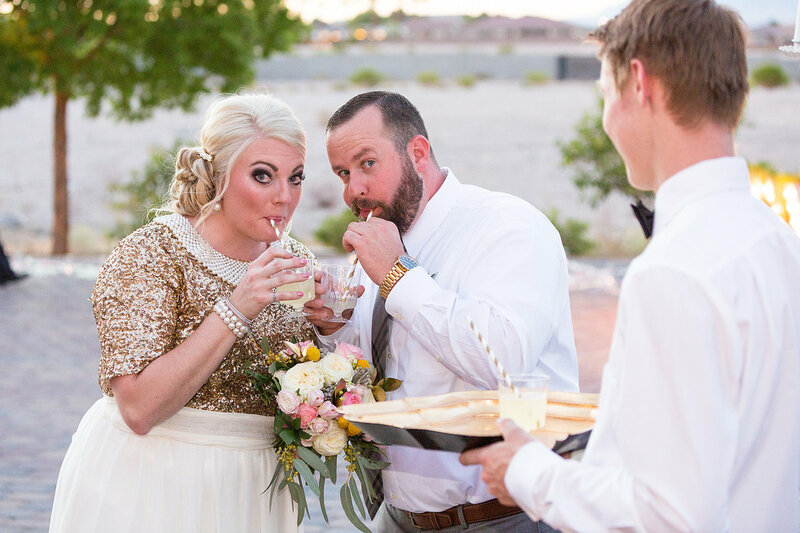 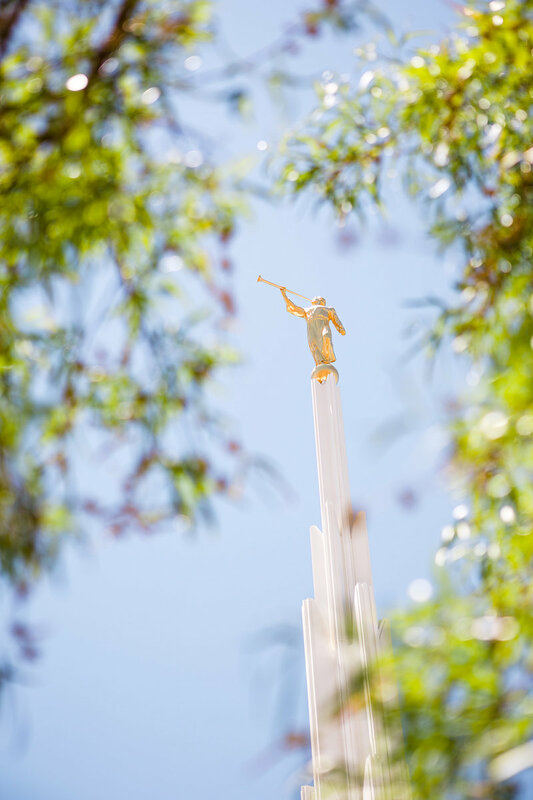 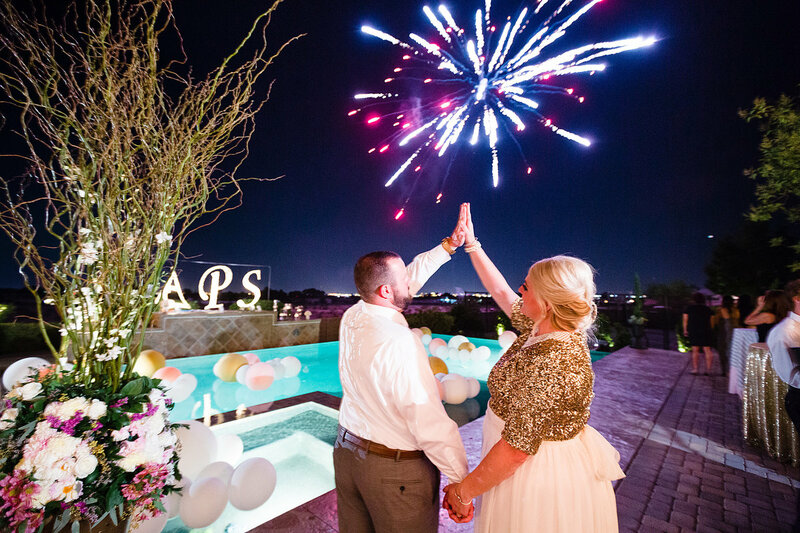 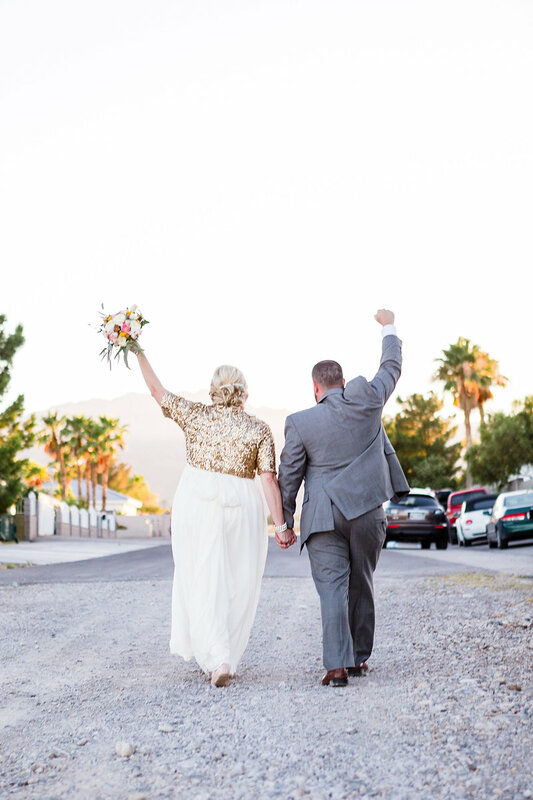 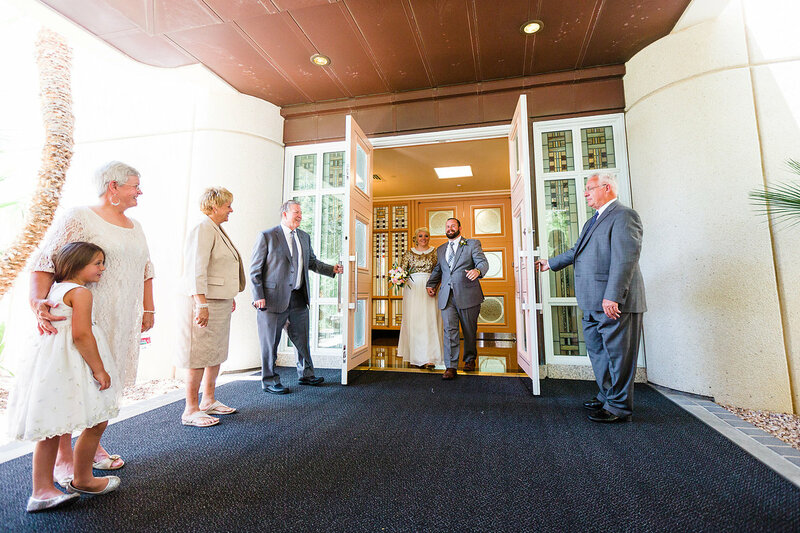 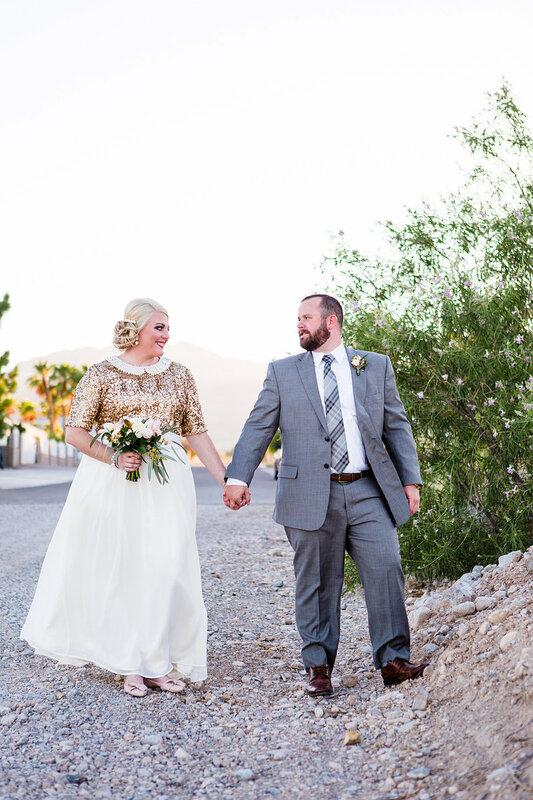 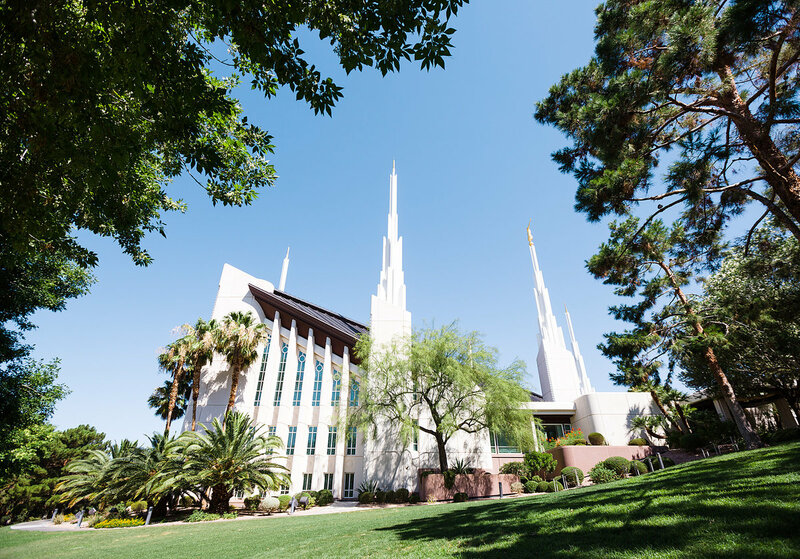 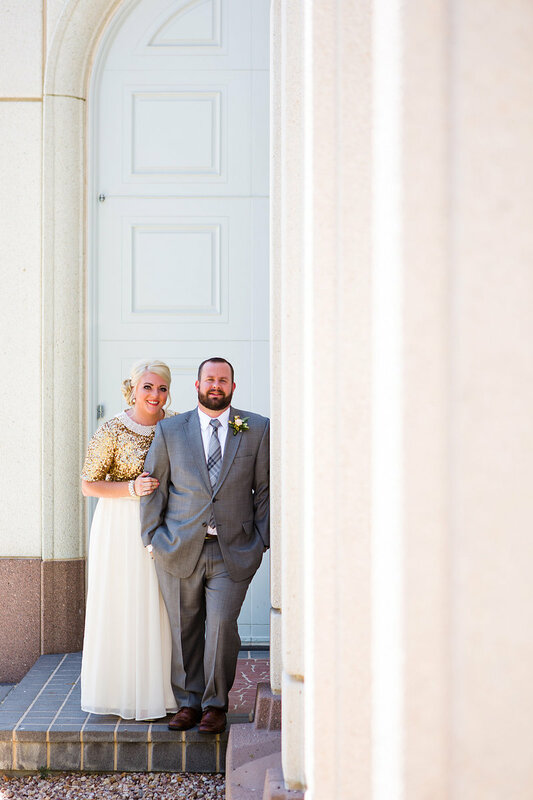 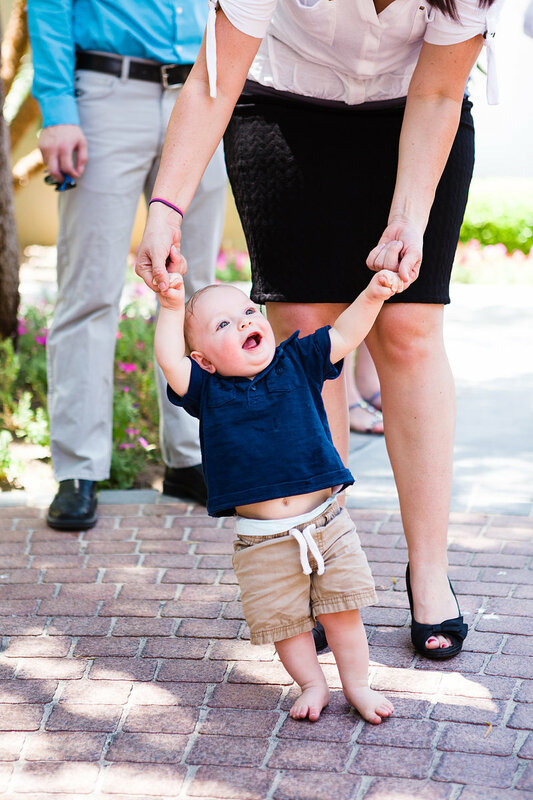 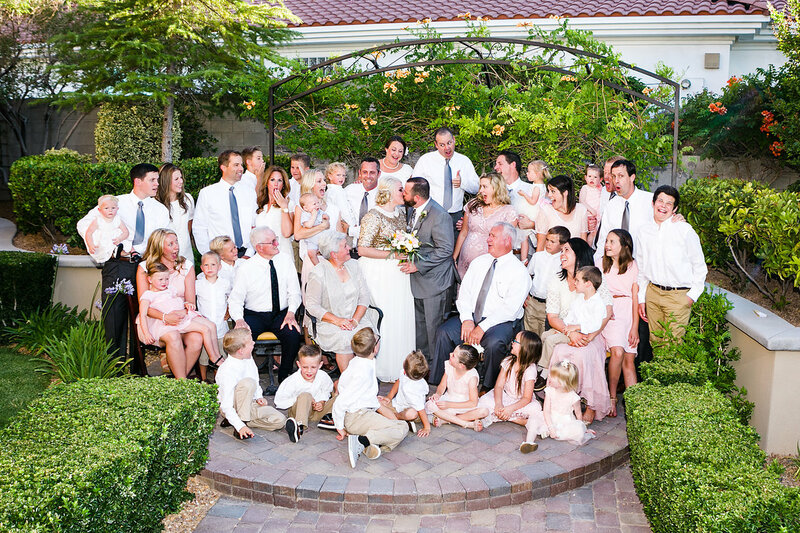 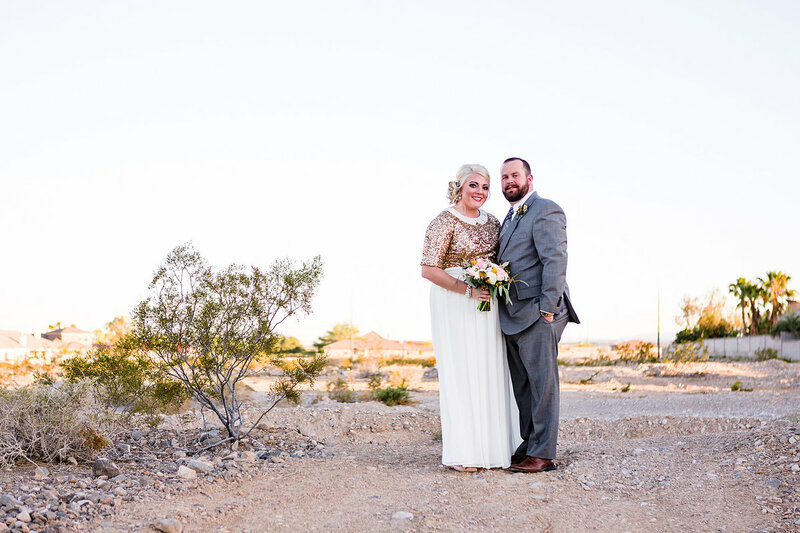 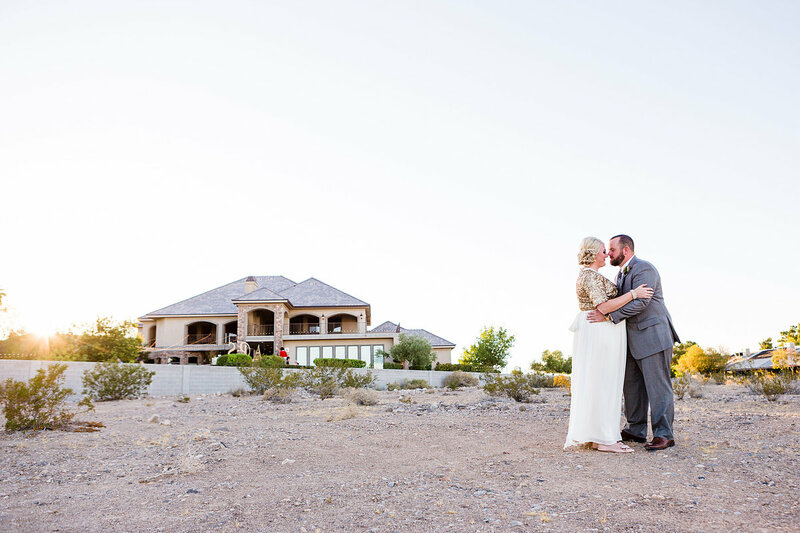 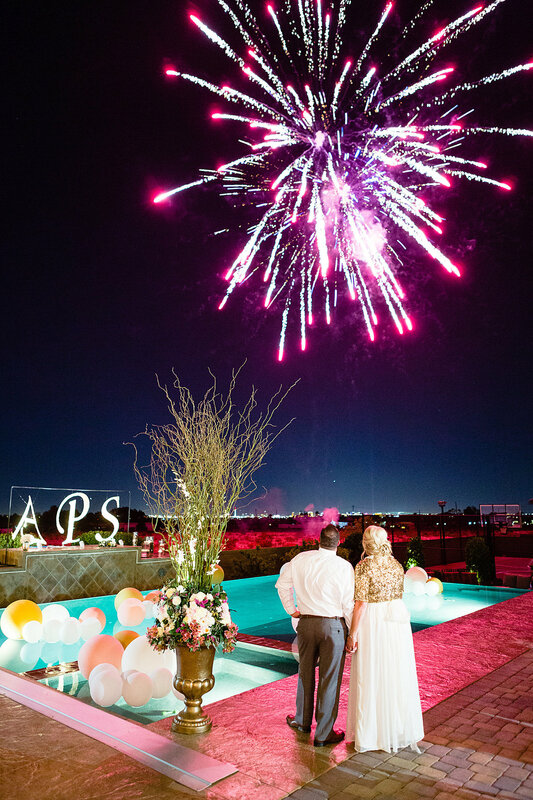 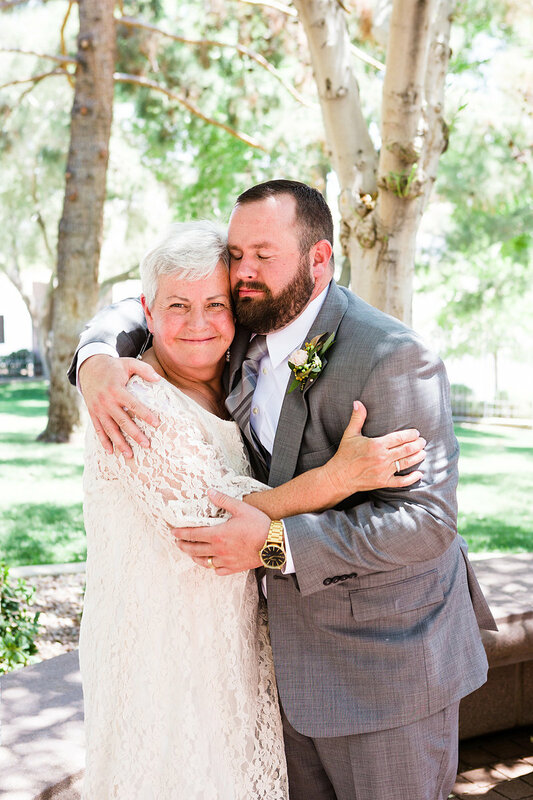 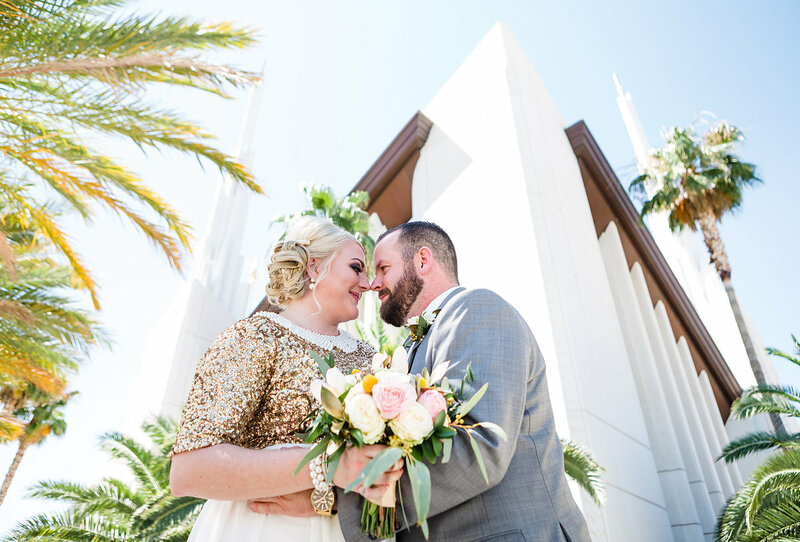 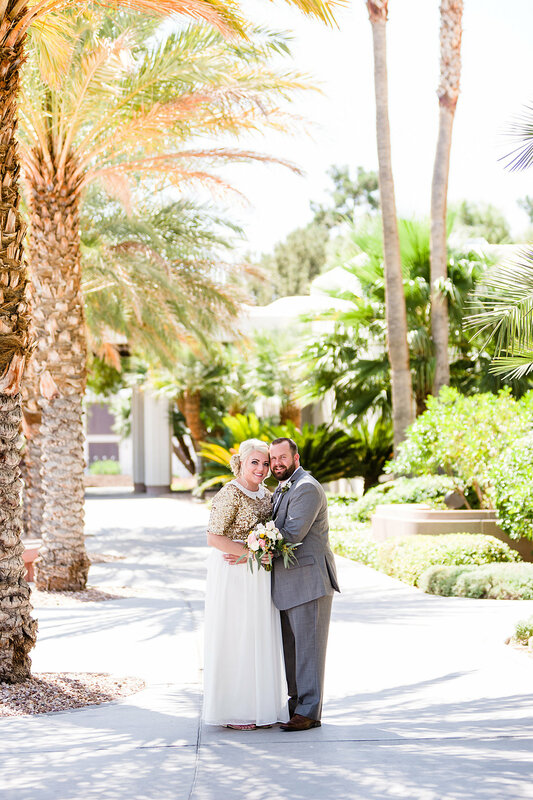 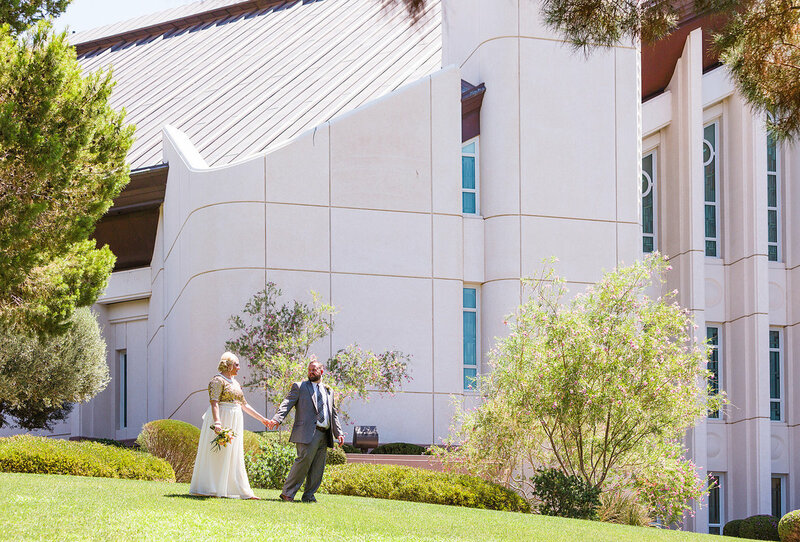 Ashley and Sam's temple wedding in Las Vegas, Nevada was a great example of tradition combined with a couple's individual flair. 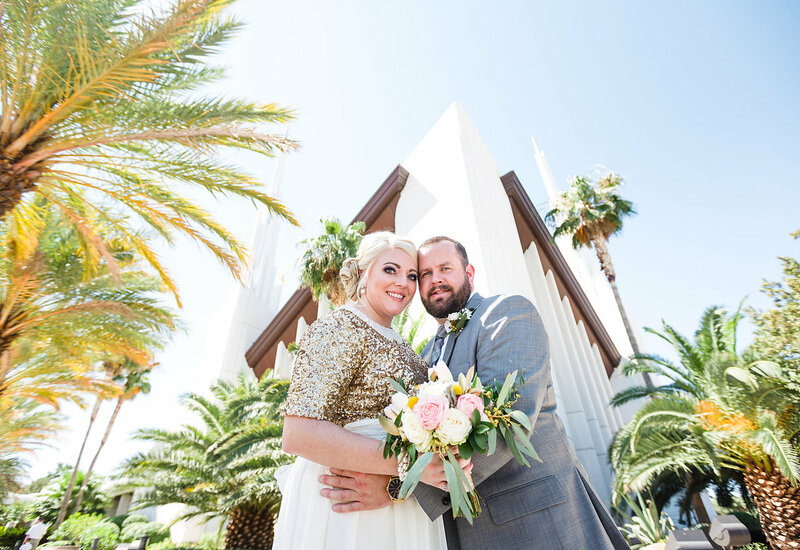 When it comes to this couple, it's no surprise they live in Las Vegas. 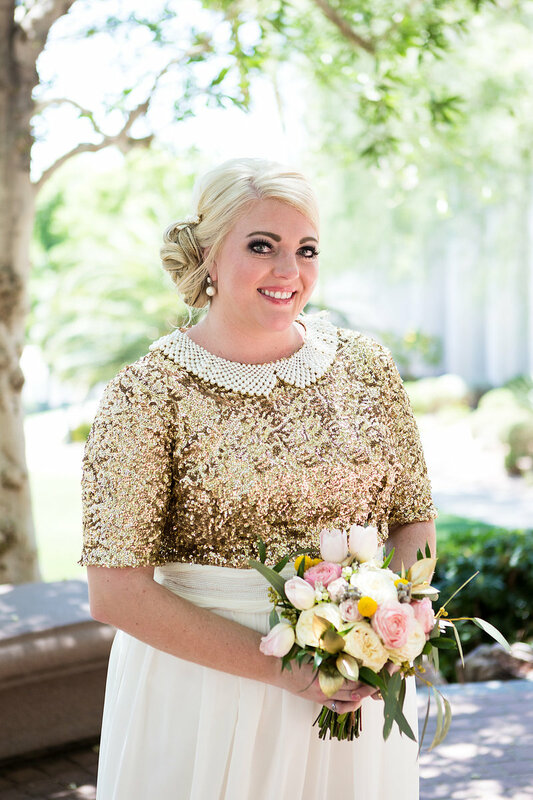 Sparkles and glamour could be found spicing up every detail. 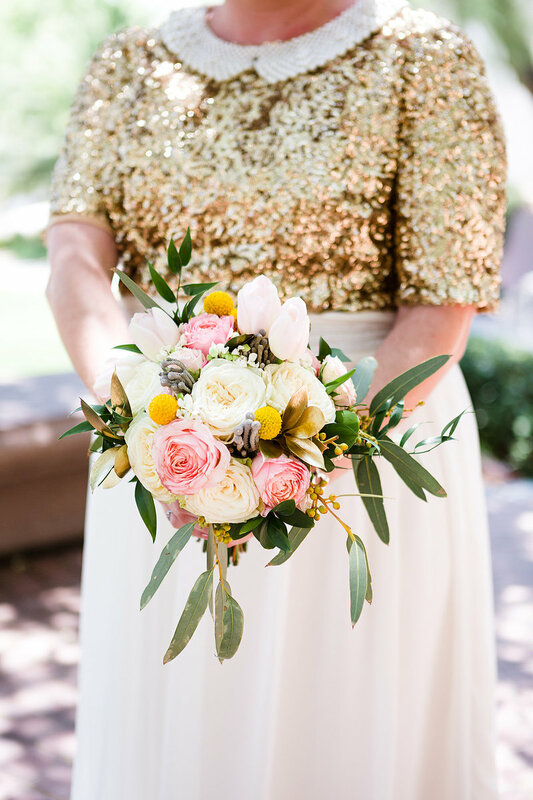 Take that gorgeous gold and sequin dress for example ... is was designed by the bride! 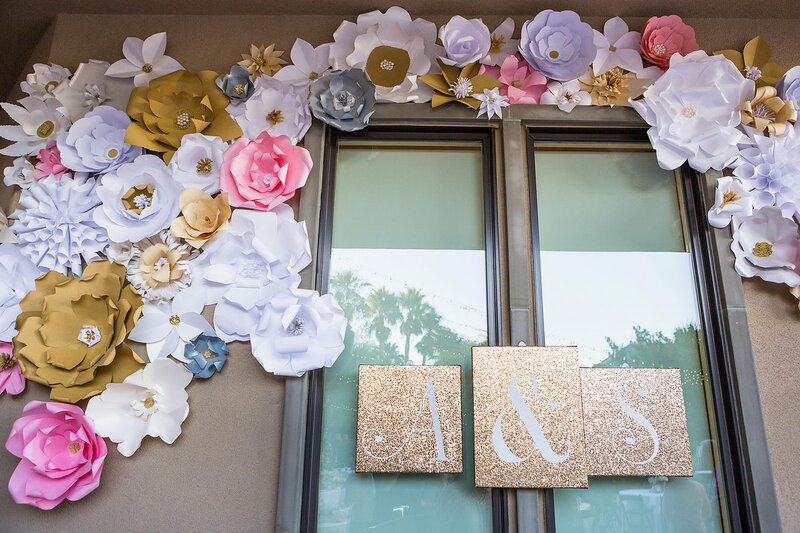 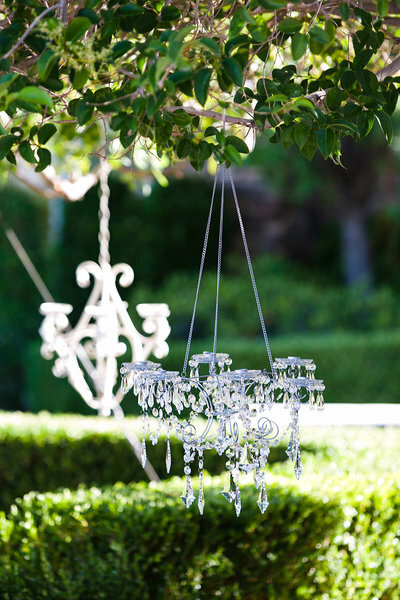 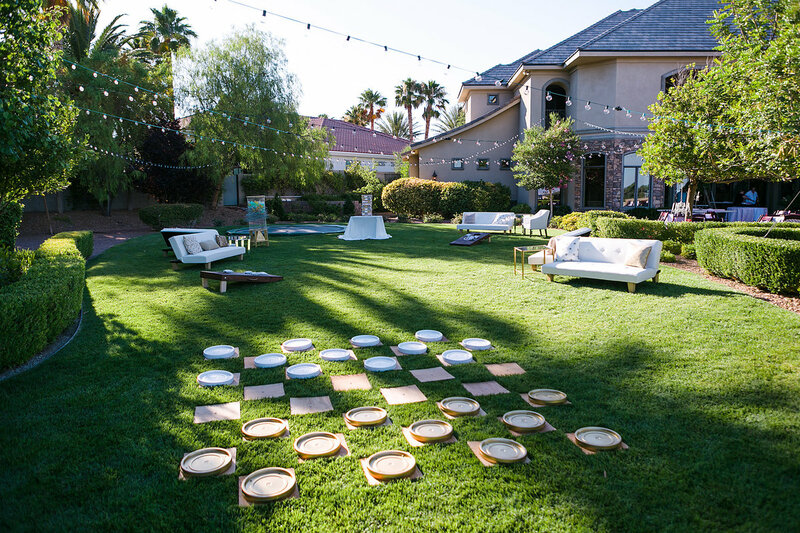 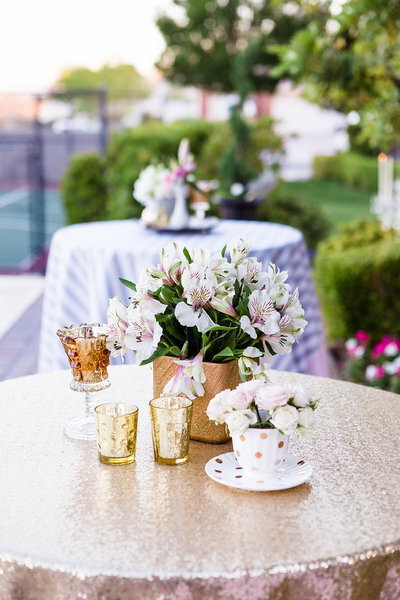 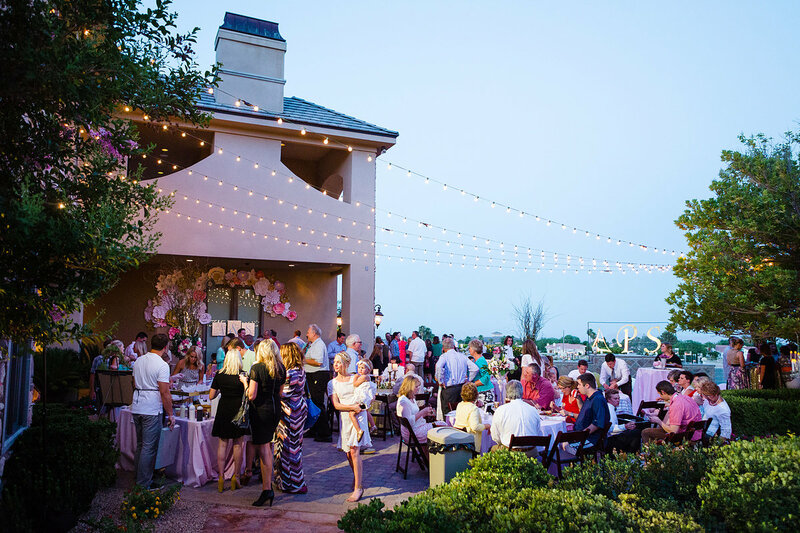 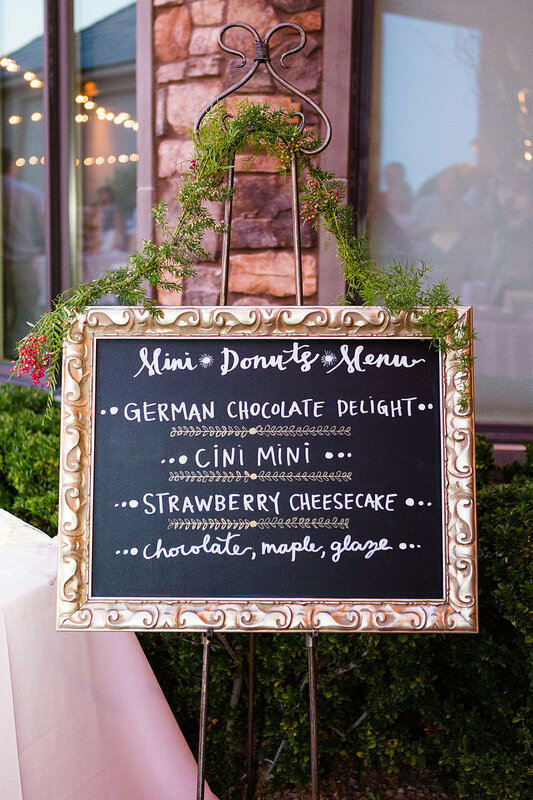 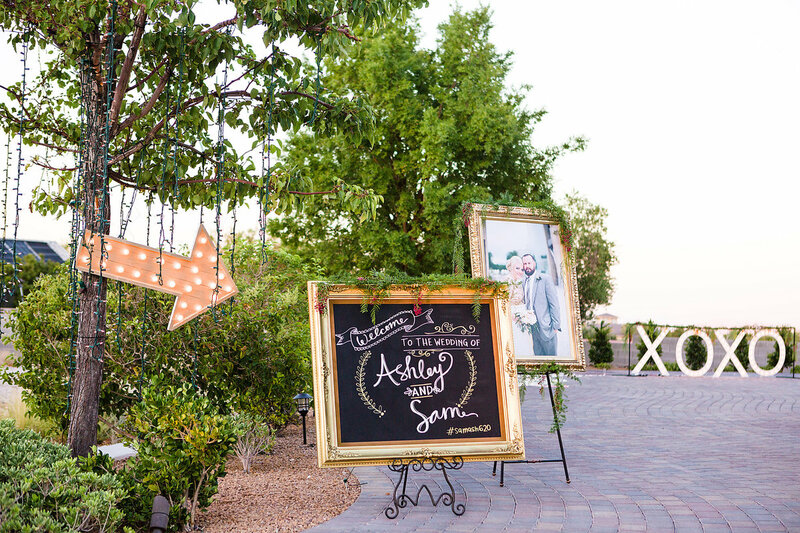 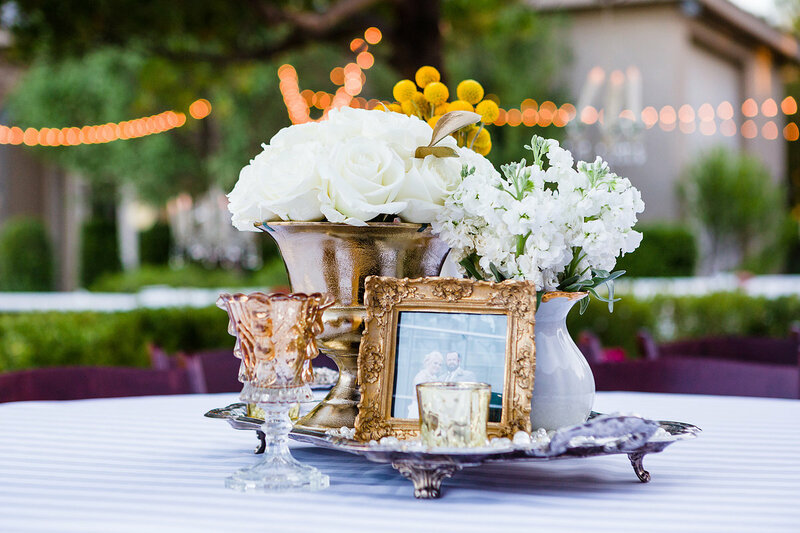 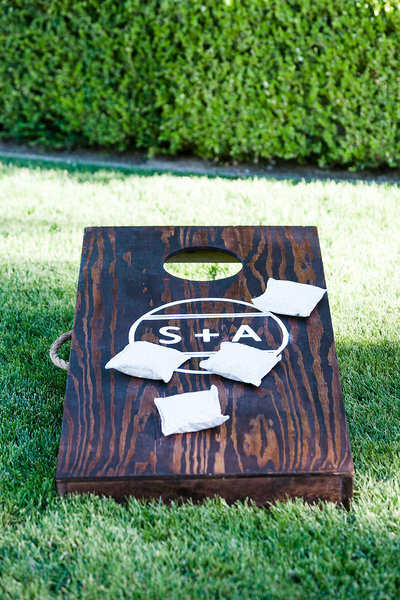 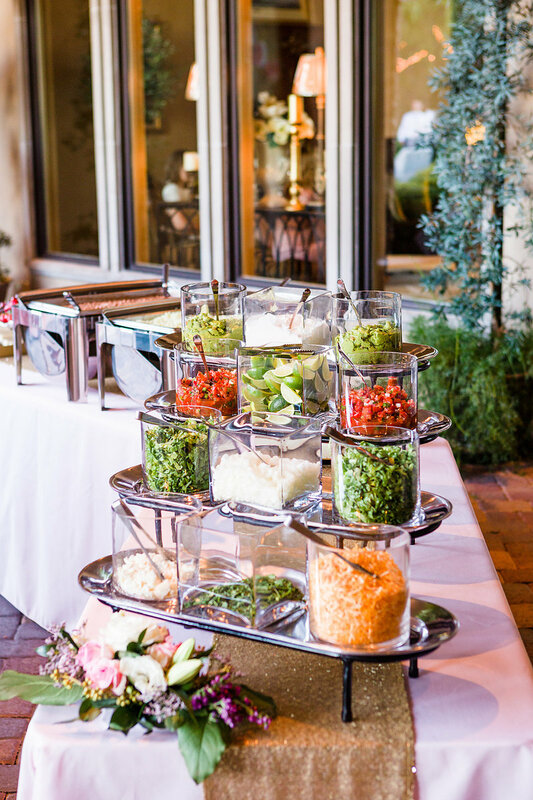 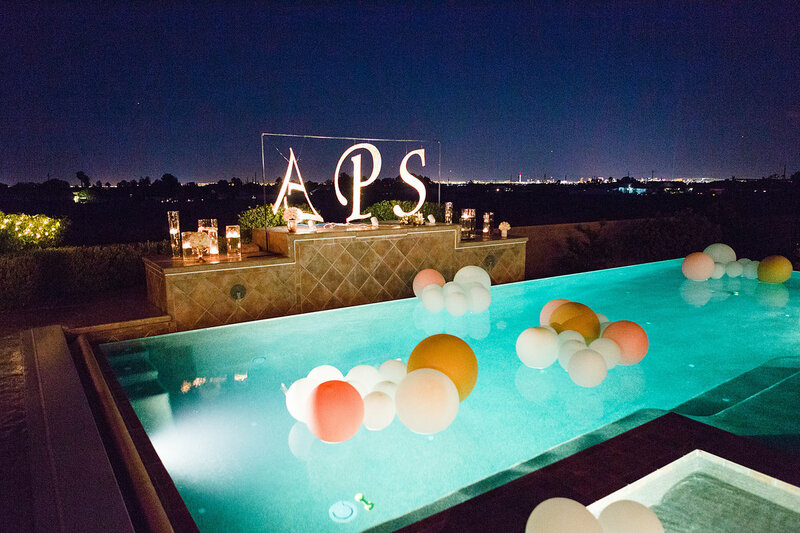 Ashley also dabbles in event design, so her backyard reception was full of personal touches from paper flowers arched over the buffet tables to chandeliers hung from the trees. 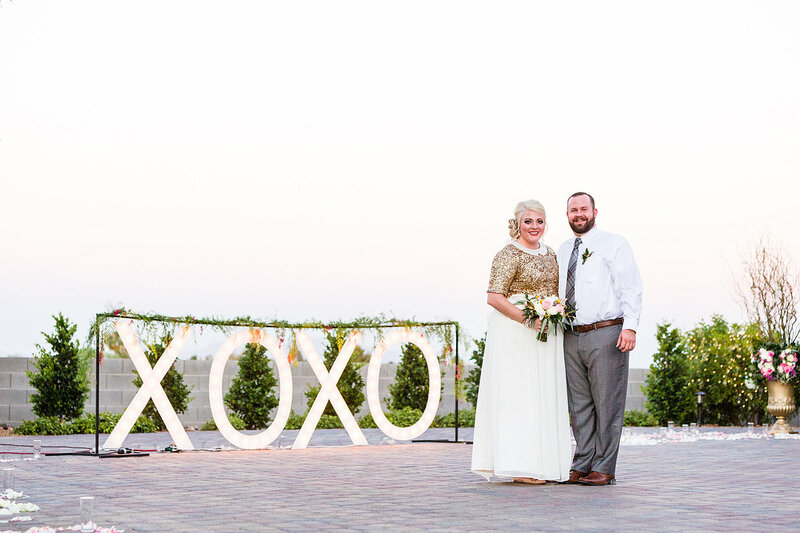 And let's not forget the giant XOXO sign that glowed over the desert as the sunset, or the fabulous fireworks at the end of the night! 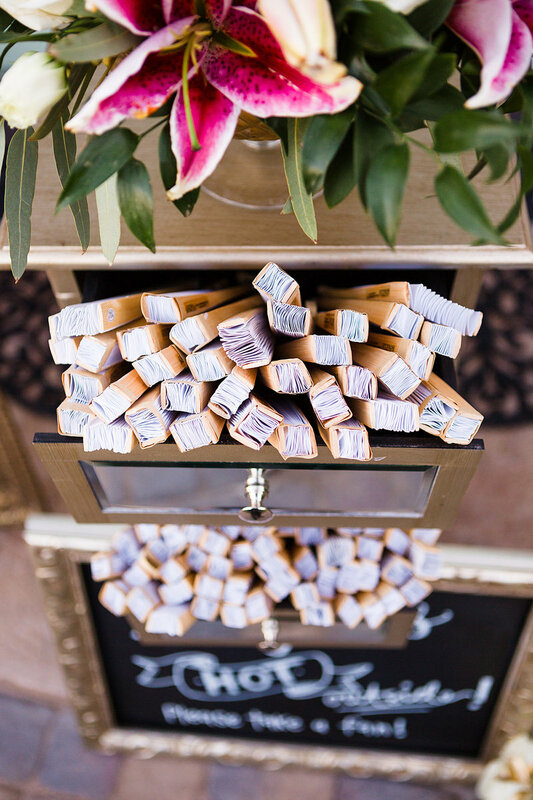 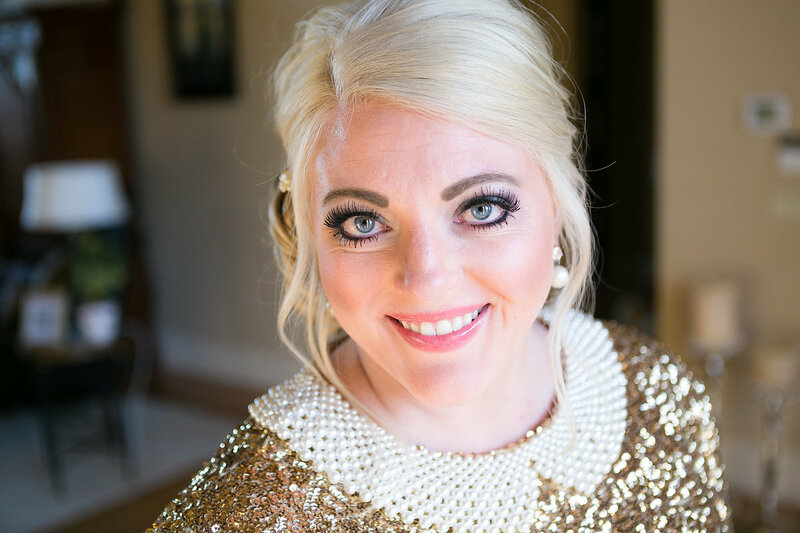 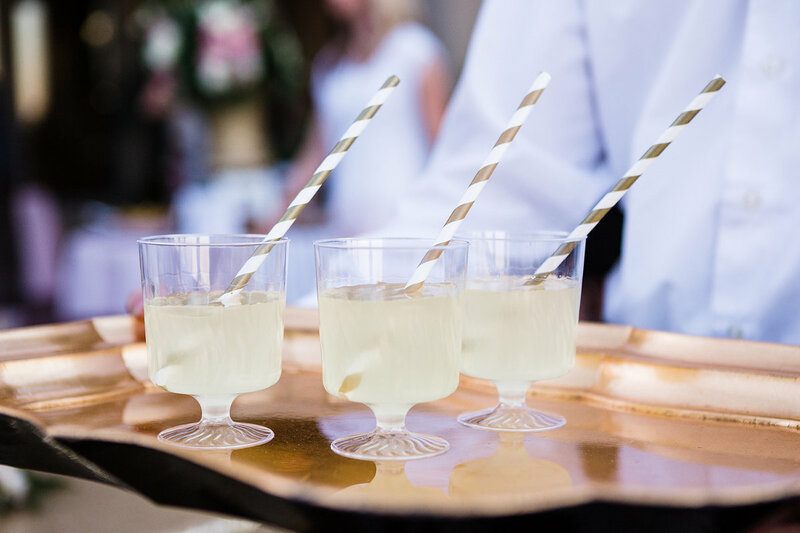 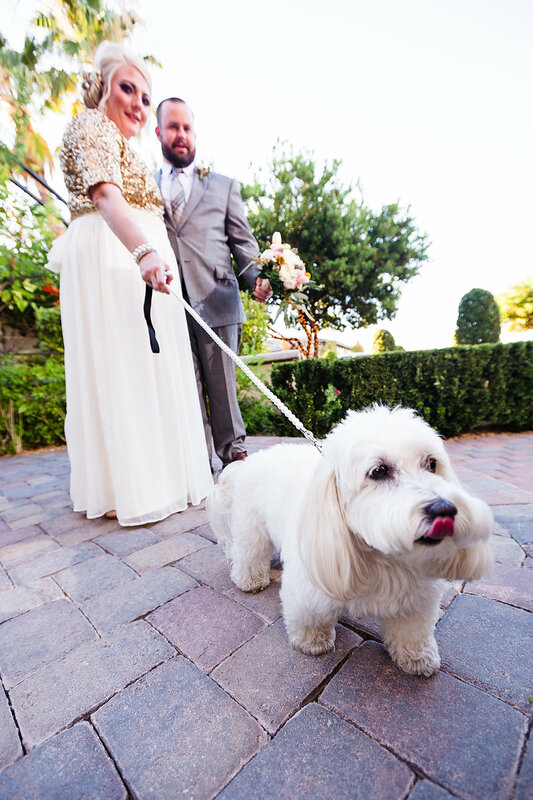 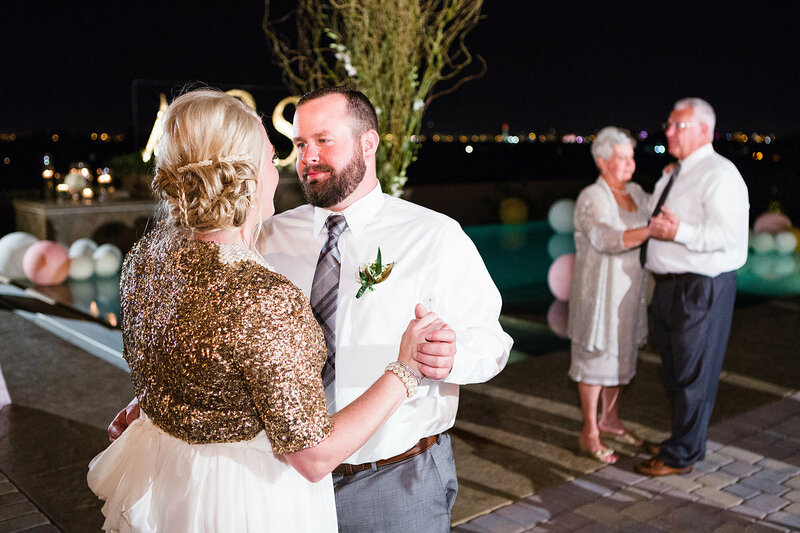 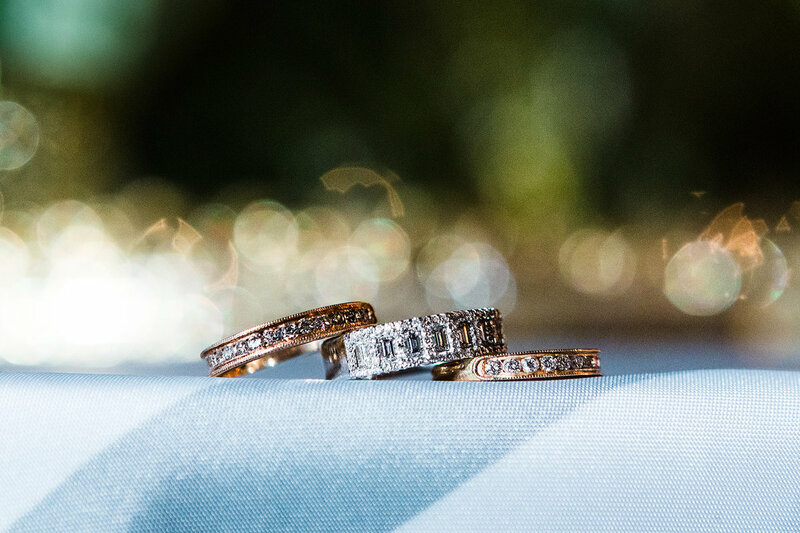 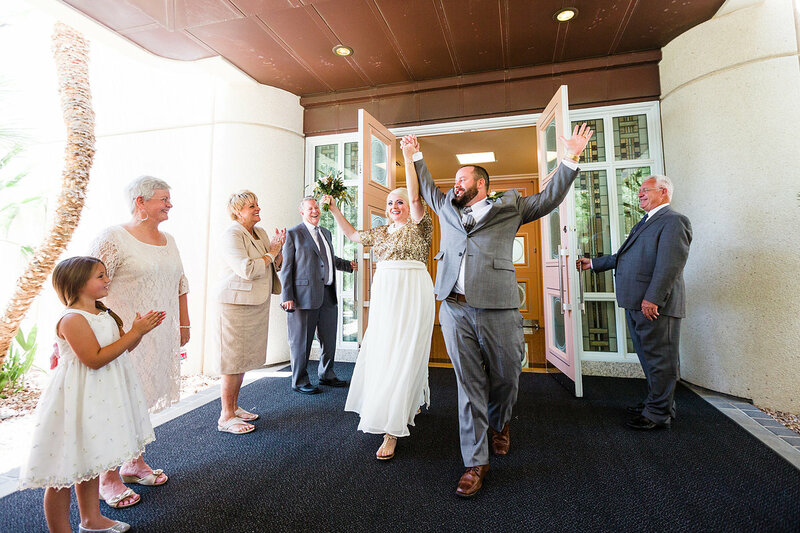 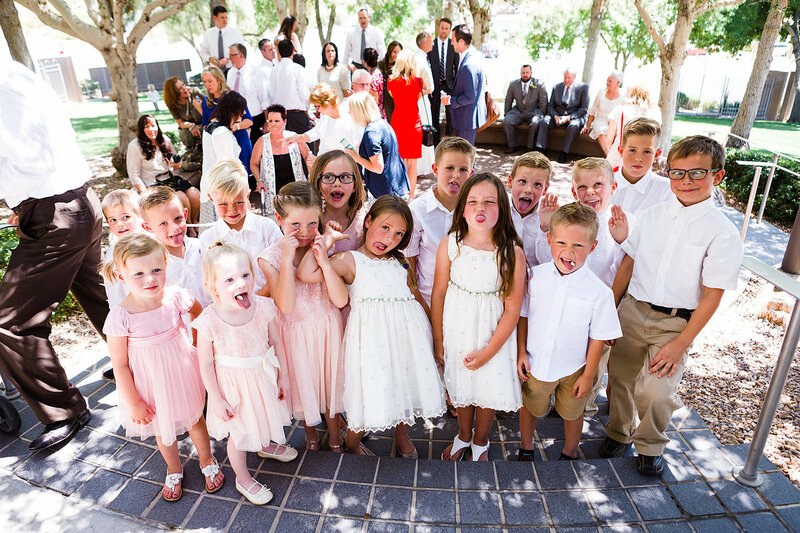 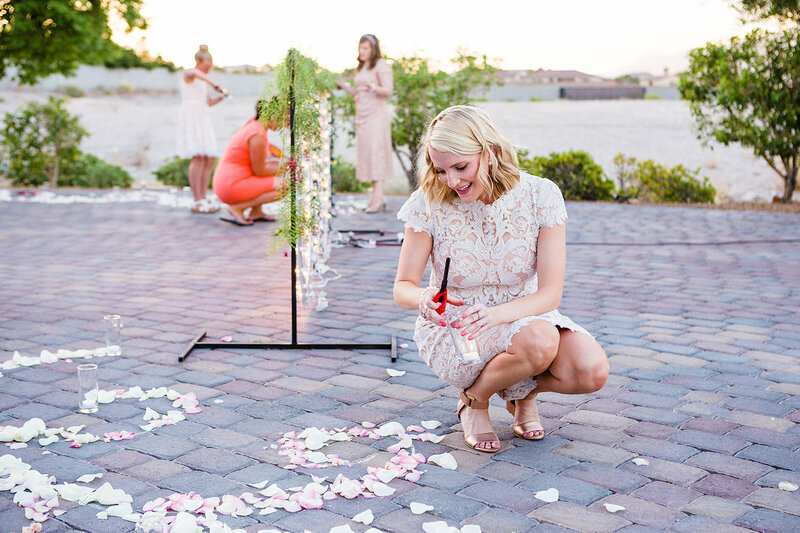 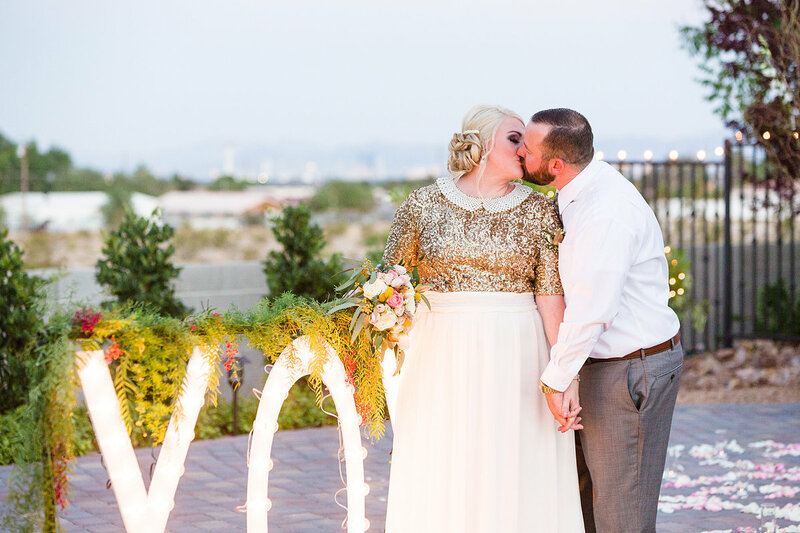 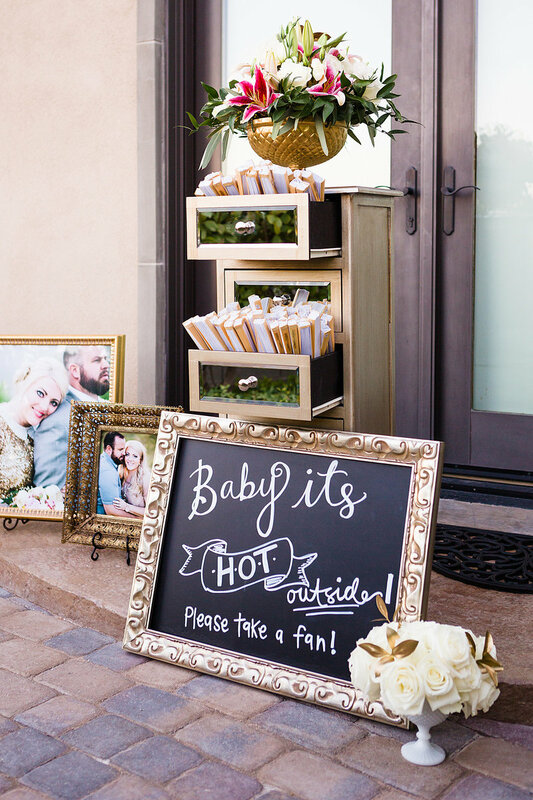 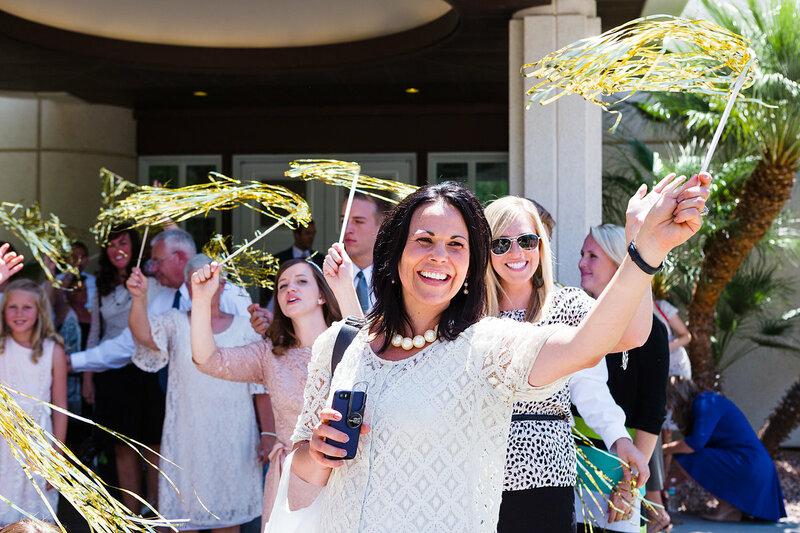 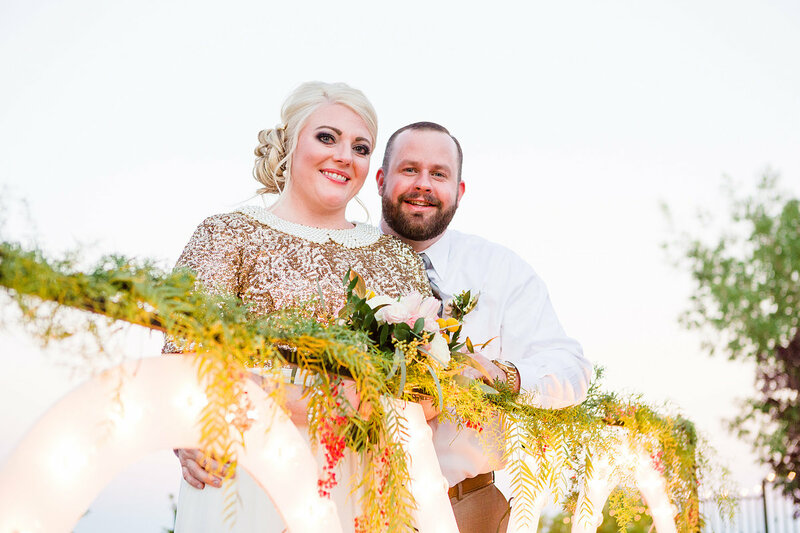 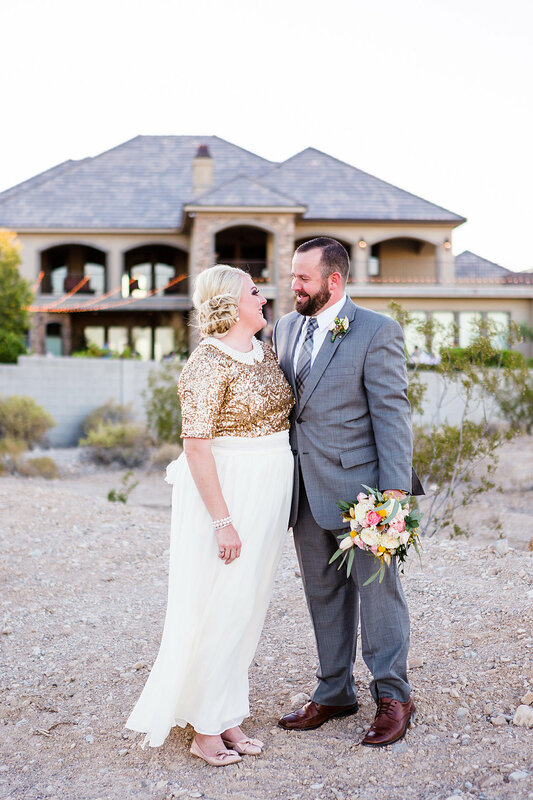 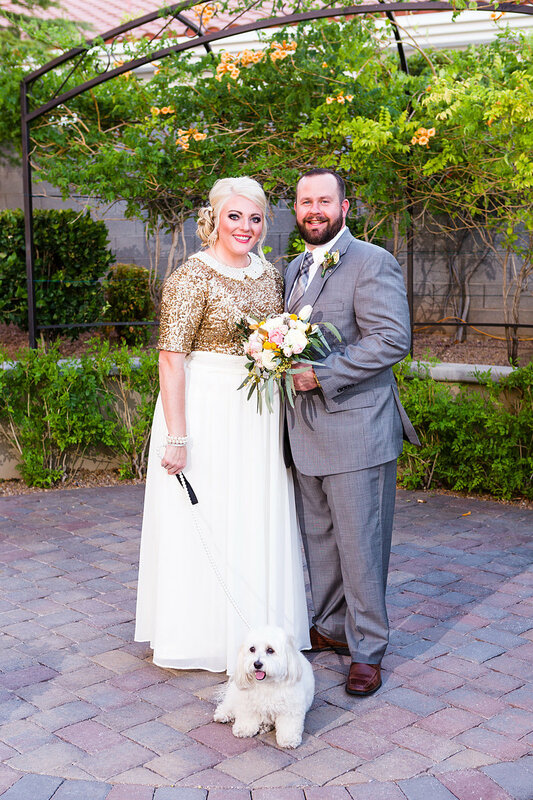 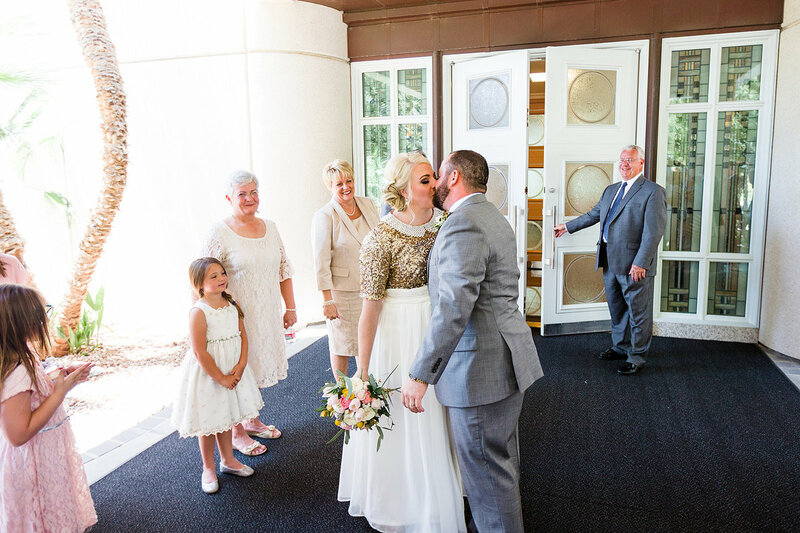 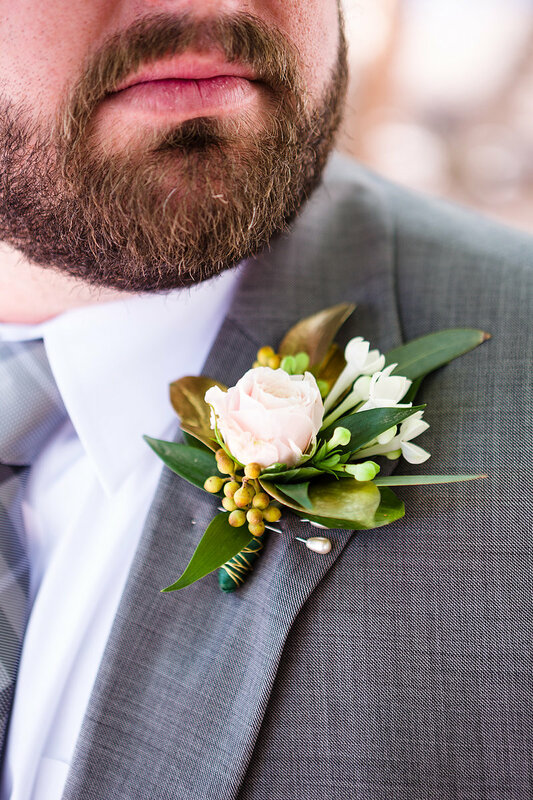 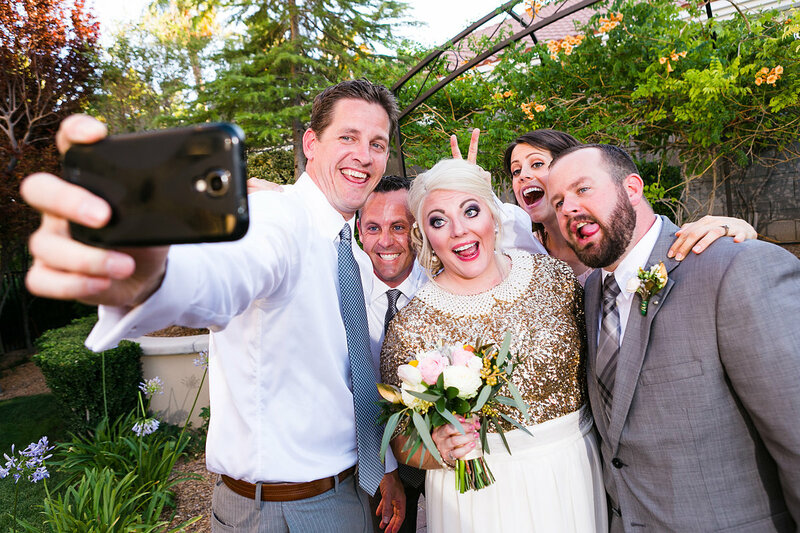 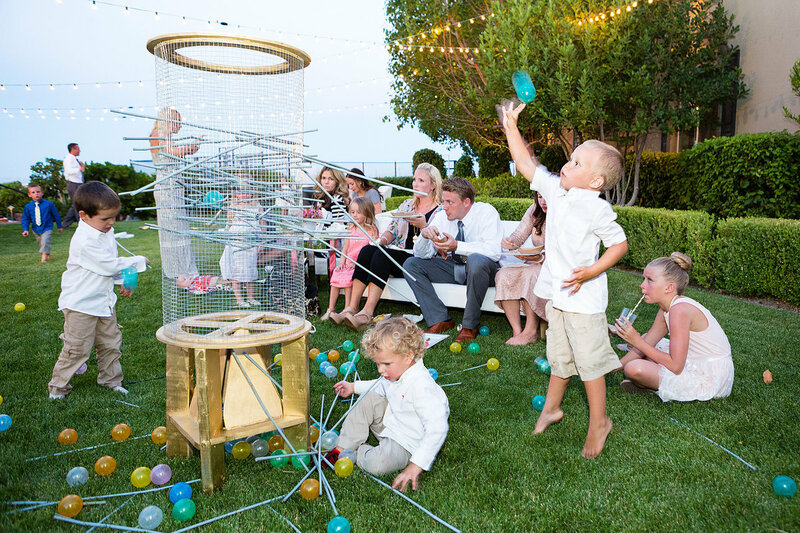 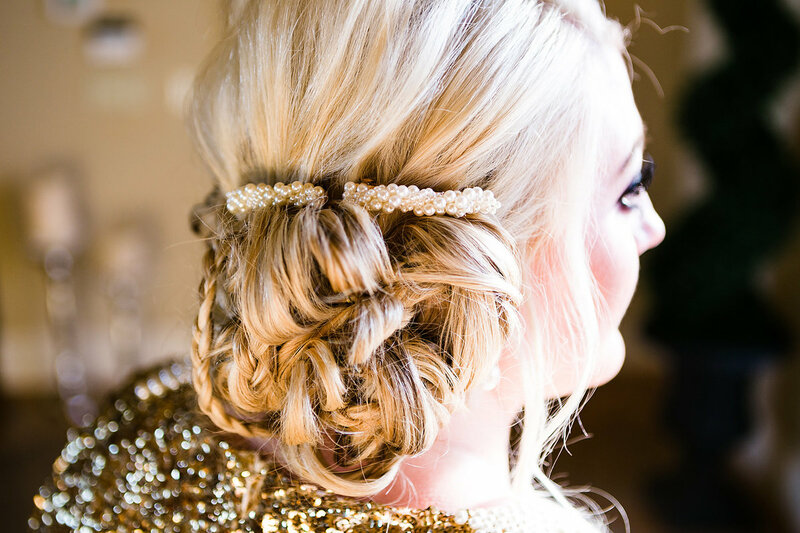 This wedding was made of tradition, sequins, and style!